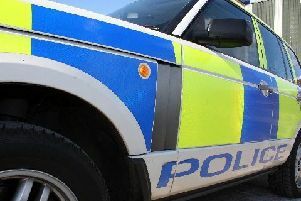 Police investigating break-ins to Midlothian businesses last month believe the same group was responsible for incidents in West and East Lothian last week. Between 4.30am and 6.05am on January 31, the Subway restaurant in Straiton, Butterfly and Insect World in Lasswade and K&I Coachworks in Dalkeith were all broken into. A four-figure sum of cash was stolen from Subway, while some electrical equipment was taken from K&I Coachworks. Nothing was stolen from Butterfly and Insect World. Sometime between 2pm on February 3 and 3.20am on February 4, two Mitsubishi L200 pick-ups were stolen from a business premises in Harburn Head, West Calder. Officers in East Lothian were then alerted to a ram-raid incident at a store in New Row, Tranent, which happened around 2.40am on Friday, February 8. As a result, the shop front was extensively damaged while an attempt was made to steal the ATM. No money was stolen and those responsible made off empty-handed. Inquiries have established that at least one of the Mitsubishi L200 cars stolen in West Calder, which have registration numbers DU68WXG and DY68BWP, were involved. The investigation to trace those responsible for the theft of these vehicles and the subsequent offences they’ve been involved in, are continuing and anyone with information is asked to come forward. 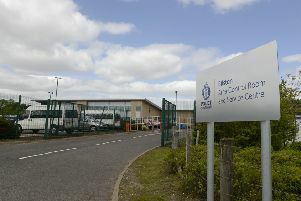 Detective Chief Inspector Paul Batten said: “After the pick-up vehicles were stolen within West Calder, they have been used in the ram-raid offence in Tranent, resulting in significant damage to the store, though, thankfully, no loss of property or injury to any members of the public. “We believe the same group of individuals responsible for these incidents are also responsible for the break-ins to businesses in Midlothian. “As such, we are keen to hear from anyone with information that can help us identify these suspects and would ask that you contact police immediately if you have any relevant information. Those with information can contact Lothian and Scottish Borders CID via 101 and quote incident number 670 of the 4th February (vehicle thefts) or incident number 269 of the 8th February (ram-raid). Alternatively, an anonymous report can be made to the charity Crimestoppers on 0800 555 111.